This is one of the most direct gateways to acquiring some crazy and stunning hairstyle options. 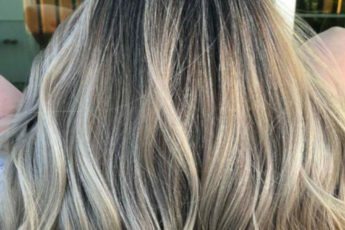 Medium-length hair gives you the opportunity to enjoy the benefits, which are not available in case of too short hair, as well as those, impossible to have with too long options. So with medium hair, one of the most creative solutions to opt for is surely the curls. Below you can see some gorgeous medium-length curly hairstyles suggested by well-known celebrities, each coming up with something imaginative and unique. The very first option we can point out is the high-volume and luxuriously rich curls, which create a very impressive and eye-catching effect. This is one of the most feminine ways of putting this style, which can be observed with the choices of Stephanie Leigh Schlund, who tried experimenting with side sweep hairstyle, created with curls for the “Catching Fire’ LA premiere. Another variant is presented with Megan Hayes’s suggested style, which is made of less voluminous yet equally chic variant of curly hair. Talking about volume, we can’t but also note the alternative suggested by Valentina Lodovini, whose picks are the center parted curls, spotted during the Hamilton Behind the Camera Awards. Greta Gerwig’s classy side parted locks, the similar option of Natalie Morales, and that of Amy Acker for the “Person of Interest’ panel during PaleyFest are remarkable, too. One of the most popular hairstyle options spotted recently is this wild-and-free look, involving a mass of crazy tiny curls, which create the attention-grabbing voluminous effect like nothing else. Such options are a famous BFF-s for Heather Headley, for instance spotted as such during the “America’s Got Talent’ finale, Sherri Saum at the People StyleWatch Denim Awards, Annie Ilonzeh again for the People StyleWatch Denim Awards, as well as Ashley Dyke for the New York Film Festival, and Monique Coleman’s natural looks for the “Bridegroom’ premiere. 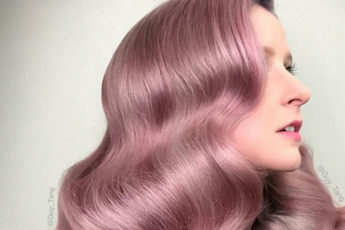 These options can be well combined with lighter tones of hair too, like in case of Alex Kingston for BAFTA LA Britannia Awards, and Kimberly Schlapman attending the CMA Awards. Saying retro, we immediately imagine the most feminine and timeless looks, which have survived many stylish changes and upheavals, proving their longevity and ethereal nature. Such variants can surely be found nowadays, too, and they do form a considerable number among the overall looks. Thus, for inspiration you can look through the options suggested by Tina Fey, who showed a nice way of putting the idea of bouncy curls into motion, Kimberley Walsh with her retro-glam looks for the National Television Awards, Lana Parrilla’s variant inspired by the flapper style, Dita Von Teese presenting the totally retro wavy hairstyle of hers super suitable with her outfit and makeup, as well as Tammy Blanchard with her deep side parted waves. Natural looks are widely given preference not only in case of tiny curls, but also with the ones having more relaxed and wavy silhouettes. Such alternatives may be found with Malin Akerman’s look for the 2011 Tribeca Film Festival, where she had some side parted loose curls and layered bangs sweeping across her face, Kylie Minogue for her looks of the “Kid’ premiere, during which she presented a mix of curls with a slight updo hairstyle, Kristin Davis attending ShoWest, Alba Carrillo with her center parted variant, and Elizabeth Hurley with the dark chocolate hair shade of hers. Another interesting mishmash of hairstyles takes place when using curly finishes instead of making the whole of the hair covered in tresses, thus creating a very cute and impressive hairdo option. This is what many stars have opted for, among whom we can mention Olivia Palermo who had this kind of hairstyle during a DKNY event, Julia Louis-Dreyfus with her ultra-feminine and curl-made looks for the Night Under the Stars event, Lara Stone with that adorable golden hair shades, Louise Roe, who used an additional hippie-inspired headband for the ultimate boho look, Ana Beatriz Barros with those massive and glamorous golden curls, as well as Famke Janssen with the classy center part option. If you’re looking for nice special occasion hairstyle ideas for your medium hair, don’t hesitate to have a nosey at these celeb-inspired medium-length curly hairstyles variants. You are sure to find a lot of interesting and helpful details here!